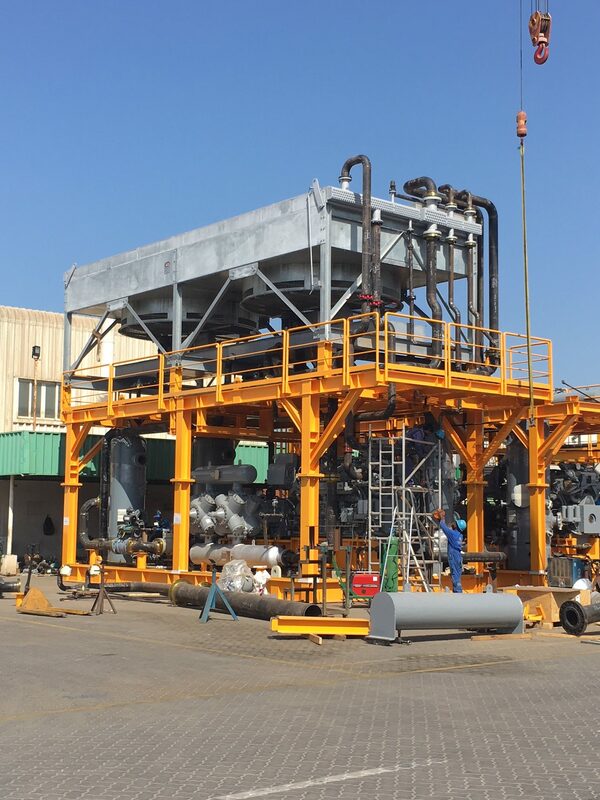 Engineering Services has recently manufactured Reboiler Process Skid Packages which include ASME U-stamped pressure vessels, shell and tube heat exchangers, piping and structure. The scope includes complete mechanical and thermal design, manufacturing, testing, electrical & instrumentation, painting & fire-proof coating meeting the end-user requirements. The packages were manufactured in accordance with Tunisian regulations.